...which isn't so bad for someone who's thousands of years old, I guess, but I don't think I'd like to sit next to him on the bus. He also mysteriously shows up one day at an archaeological dig and, introducing himself as Ardath Bey, directs the British workers there to the tomb of Princess Ankh-es-en-amon. They excavate the site and give the old crap they dig up, including the mummy of the princess, to the Cairo museum. Imhotep sneaks into the museum after hours, kneels on the ground, and recites something from an ancient scroll. Elsewhere, Helen, a weird-looking flat-chested lady with an extremely plunging neckline, becomes hypnotized, leaves the party she's attending, walks to the museum, and collapses there. I guess it turns out that she is Ankh-es-en-amon reincarnated...? I'm not sure exactly. And if she is—and if she resembles Ankh-es-en-amon so damn much, like everybody says—why the hell did they need to dig up her tomb in the first place? Huh? But what about the mummy of the real Ankh-es-en-amon? Why didn't he just bring that body back from the dead since it was already conveniently dead and all? Is Helen really Ankh-es-en-amon or is she Helen—or is she amalgamation of the two? Do I even really care? Wait. 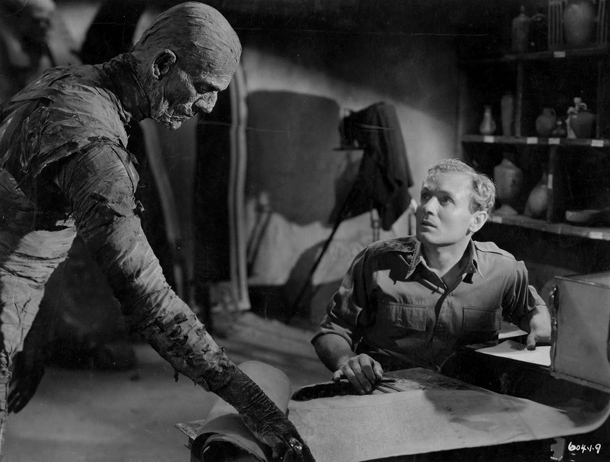 There's no curse for disturbing the Mummy? And he doesn't go around killing the people who woke him from his milleniums-long slumber? I thought that's what all mummy movies were about. 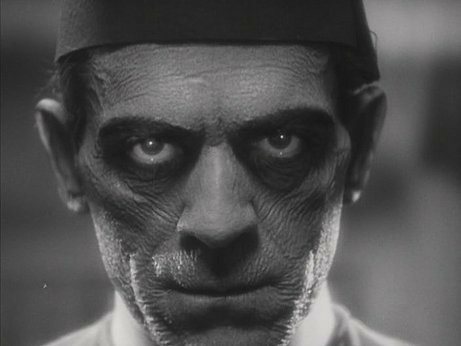 There's a curse for opening the cask buried with the Mummy, but the guy who does that goes mad fairly early on and is never heard from again. The Mummy's main motivation throughout the film is his 'love'* for Ankh-es-en-amon, not revenge. * Or whatever passes for love in the mummy world.